I think we can all agree that Lindsay Lohan’s father Michael Lohan has a few screws loose. Some of those screws have landed him in jail; others have driven him apart from his children. Well it looks like Michael has yet to tighten even a single one of those loose screws. 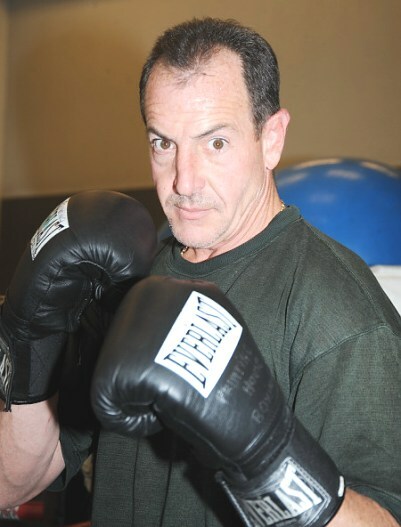 It is just now being reported that back on April 6th Michael Lohan was arrested for (allegedly) making threats towards his fiancée Erin Muller during a phone call on March 18th. The story goes that when Erin tried to break things off with Michael, he lost his temper (no surprise there) and threatened to kill her – and then off himself. Apparently it was an idle threat, however, because when Michael Lohan showed up for his court date yesterday, Erin Muller was not only by his side, but she hid with him in her car. Why were they hiding in her car, you ask? Well, when Michael Lohan walked into the Central Islip court room yesterday and saw Post reporter Kieran Crowley and photographer Dennis Clark, he went ape-@@@@. “Michael! Plan two!” shouted Lohan’s lawyer, Anthony Grandinette, as his client fled. “Plan two” consisted of Lohan and Muller hiding in her car while Grandinette appeared on his behalf. Lohan faces up to a year behind bars. He couldn’t have picked a better time for the alleged threat, because terms of his parole ended on Feb. 7. He’s due in family court in Westbury today, when he’ll have to explain why he’s behind in child support — by $12,000, sources told The Post. So how long before Michael Lohan makes a Hulk Hogan-esque comment about “taking the high road” by not “pulling an OJ”?